Whether you are updating your kitchen, adding a new outlet, or building a new home from the ground up, DFW Electrical Service can provide you any electrical service you need. 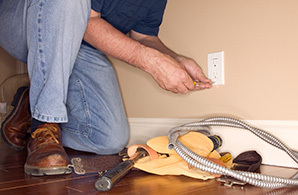 We hire only background/drug tested, knowledgeable, honest, experienced, and most importantly - licensed electricians. 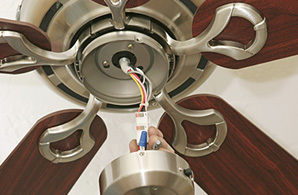 This ensures our customers' projects will be completed safely, on time, and within budget. Discounts of 10% will be given to former and active Military, Police Officers, Firefighters, EMS, and seniors over 62. Check out the list of services we provide below. If you don't see what you're looking for, let us know because we probably do that too! 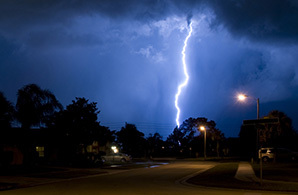 In home and over the phone estimates are always free..
Is your home and equipment protected from lightning & surges? Probably not!! Most people wait until they need something before they get it, however... in the case of surge protection, if you wait until you need them... IT'S TOO LATE! Many insurance companies give a discount for homes that have surge protectors. The average home gets hit with over 20 energy spikes a day. You get up to 30% more life out of your appliances and electronic equipment if you use surge protectors. A lightning strike up to one mile away can do damage to your sensitive equipment. Mention this ad and receive 10% OFF the final installation price on one of our surge protectors!